Breathing issues and sciatic pain kept me home from church today. I don’t like that. It took me so long to learn that hearing God’s Word preached and receiving God’s extravagant gift of forgiveness is a treasure! I don’t ever want to take it for granted. I probably do take it for granted, I just don’t want to. Part of that is because I don’t want to break the third commandment (by the Roman Catholic/Lutheran numbering scheme, fourth commandment by the Episcopalian/Baptist/Methodist/etc. numbering scheme). I want to “fear and love God that we may not despise preaching and His Word, but hold it sacred, and gladly hear and learn it.” There will be many times when I will be unable to participate in the “Gottesdienst” (a.k.a. “the divine service,” in some circles, “worship”), so I want to get “the goods” at every opportunity. Granted, I can read the Bible and pray alone, but these privileges and delights flow out of being part of the Body of Christ in this world. Being a “Lone Ranger Christian” doesn’t really seem to have biblical support. I also want to go to church in the name of those Christians in other parts of the world where being a Christian is a deadly proposition. 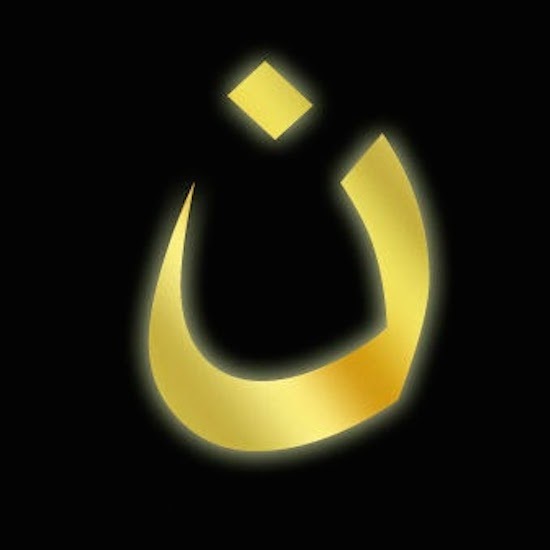 In Christ, Christians in Iraq (just one example) are a part of me. Their wounds are mine. Their struggles are mine. Their joys are mine. My Facebook profile picture may not always show the letter “ nun,” but I think of Christians (yes, and others) who are facing incredible struggles for their beliefs. I do hope that we can begin discussing these kind of stories with each other. Perhaps we can start by talking about something a little bit more distant, not the immediate past. The issues are similar. People have not changed much in the last 3000 years, even if we have gotten some really nifty electronic gadgets in the last 30 years. One of my favorite places to read about is Japan. I think my interest started when I was about eight years old and Dad visited that faraway country. He showed us where it was on the map. He brought us pictures, fans, little dolls, and a tea set. The delicate porcelain was wrapped in newspaper. I couldn’t read it. None of the grown-ups I knew could read it, but I knew that somewhere in the world there were millions of people who thought that reading these miraculous pages were everyday experience. Somewhere in the world, people thought that these miraculous pages were trash-fit only to wrap a doll -sized tea set. I read a few novels set in Japan and read a few Japanese novels in translation. I learned enough to know that Shusaku Endo is an artist. Now one of his books is being turned into a movie that I want to see, even if it deals with persecution.